I thought this journal would be nice, since the holidays are around the corner. 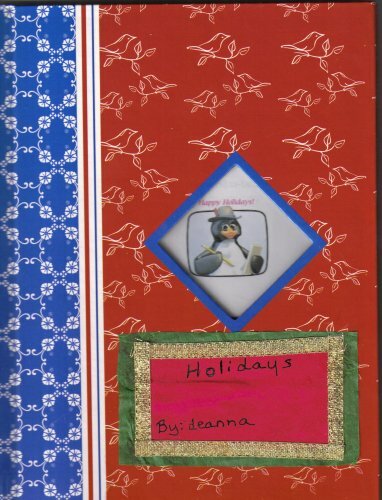 Holiday art journal-Feel free to be as creative as you would like-draw, paint, write a short story, write a poem, and even find some creative work off of the computter. You can pick whatever holiday is your favorite and one you may like the least. You can express how you feel about a certain holiday. Maybe you would like to add a holiday tradition to the journal. Have fun with this journal. A birthday is a holiday too. Please email me when the journal is done. Then I will mooch it back from you. I just finished my contribution and I’m waitin’ for someone to request to mooch it!